She also lost someone she knew, a neighbor – a man with a disability who she often talked to and who got around in a wheelchair. With the waters rising, she said, he could not get away, and he abandoned his wheelchair to try to crawl through the storm surge of rising waters only to be struck by a flying metal roof sheet and killed. 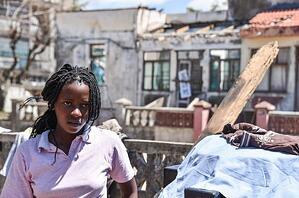 Celina’s mother Tina was desperate to find somewhere for the family to shelter. Celina, her mother, two younger sisters, a sister-in-law and a one-year-old nephew, made it to her brother’s house to survive the night. 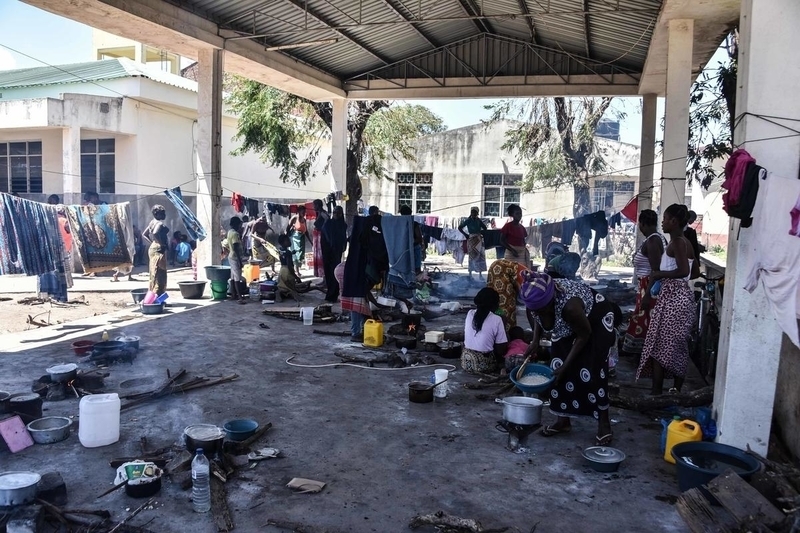 They found their way to Eduardo Mondalante School in central Beira (pictured left), which is now home to hundreds of displaced women, men and children. 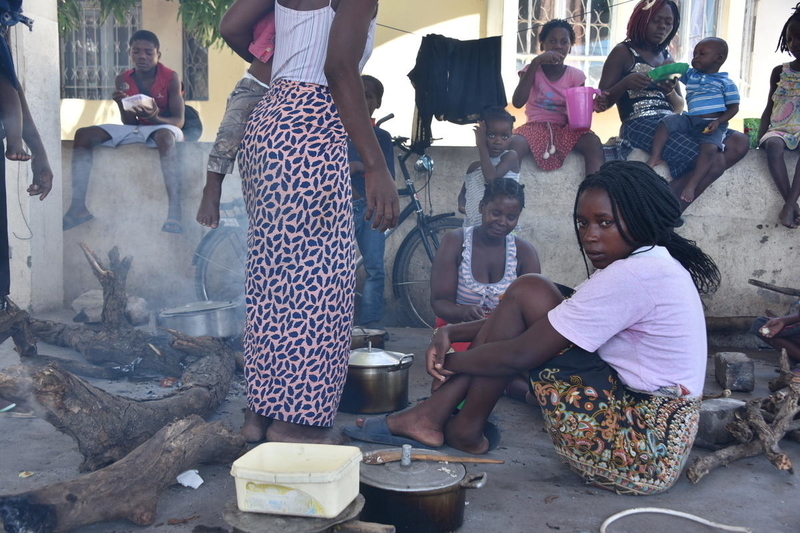 The family has been living there for five days, surviving on one or two meals a day with Celina trying to avoid the arguments that break out when the little food that is donated by outsiders is unfairly distributed. The family have almost nothing with them. They arrived with just the clothes on their back and the only possessions they now have are two pans, three plates and a bed sheet. At night they sleep directly on the floor using the single bed sheet in a classroom that houses some 40 people who sleep on whatever they can find, including empty rice sacks. Although the school has divided up the sleeping areas into male and female sections it is not a safe place for girls. There is almost no privacy and the school is full of strangers. The cramped conditions make it easy for diseases to spread due to the unsanitary conditions, and there is frustration at the lack of assistance that has the potential to spark violence. Unless Celina can get back to school her dreams of becoming a policewoman will be much harder to reach. Slowly aid is arriving but there is so much to do and this is only the beginning of the aid and recovery effort.